Contact Hats Productions for 2016 dates available presentations by HATS Productions which is an enterprise that tells the stories of amazing Australian people, to students in Middle Primary to Middle Secondary Year levels. The drama presentations are a blend of storytelling, role play, and incorporate student interaction as the story is narrated. Please contact HATS for available dates. 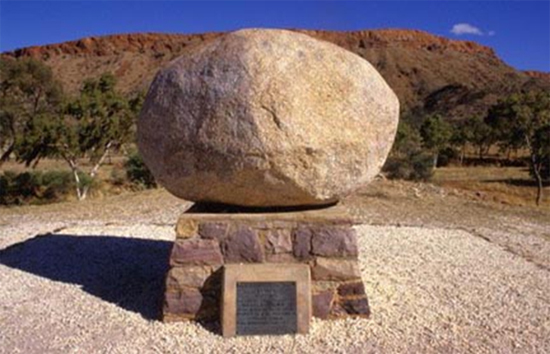 Reverend John Flynn's Grave - Alice Springs N.T.